Without a shadow of a doubt many parents are well intentioned when it comes to being a sports parent and merely out of love are doing what they believe is best for their child. Many follow methods based on the environment that they see before them, whilst many behave in the way that they perhaps saw their own parents behave towards their sport. Some perhaps use strategies that coaches used with them. As time is moving on we now have far more scientific data than ever before to back up or indeed change any of the methods that we may be or considering using as a sports parent. This article was inspired by Dr Jennifer Fraser author of Teaching Bullies: Zero Tolerance on the Court or in the Classroom and Dr Marilyn Price-Mitchell who wrote about the role sports coaches have to play in a similar way. 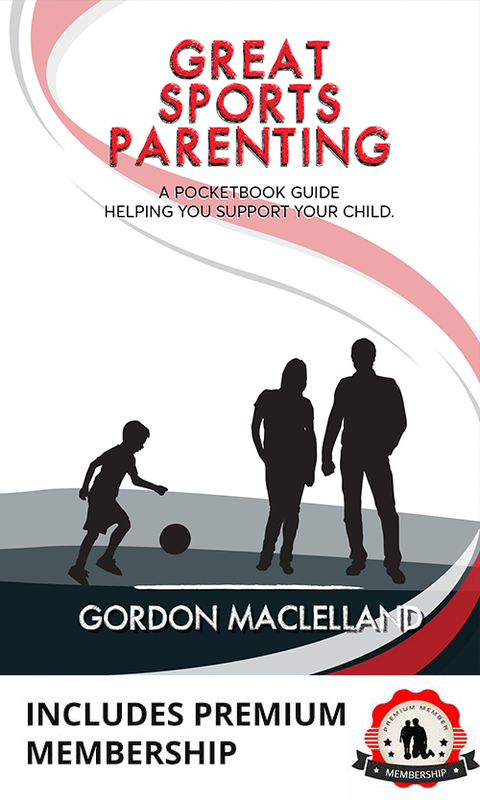 Below we look at 8 ways for you to become an outstanding sporting parent. Curiosity is the ability to seek and acquire new knowledge, skills, and ways of understanding the world. When parents praise children for their effort and encourage new learning, positive parenting occurs. If parents constantly criticise other sporting parents, coaches and other players it weakens a child’s ability to develop positive social skills. dismantle a child’s ability to make lasting relationships. Parents need to communicate well with their children using questions like the ones below. This helps break down barriers and encourages a constant, positive sharing of important information. parents who yell at or berate them. through difficult challenges and obstacles. Parents need to let children know that they are there for them and are ready to chat. stepping into the unknown is at the core of resilience. process of honing core values and beliefs. Parents must have real belief in their sporting children. Not based on comparing their child’s abilities with others or indeed defining their own child’s identity based on their sporting prowess. to understand their strengths and weaknesses. In their desire to win at all costs, some parents do not model integrity to their children. longer “fun” (Dilworth, 2015). Poor touchline behaviour including dismissive body language, abuse of officials, turning away when their child is looking for a reassuring glance are all examples. demonstrating and living their own values. skills necessary to win at sports and become successful in life. problem-solving will lead to success. should focus on helping kids be flexible and strategic. ability needed to improve in any endeavour, and to surprise an opponent with a new twist on an old methods. creativity is nurtured. New possibilities emerge. caring and compassionate as well as being kind and patient with progress. meaningful relationships with them—by ensuring the child is seen, heard, and understood. children emotionally and physically healthy by listening to their words and feeling their suffering. game.” But is it, really? differently? What are the possibilities? Well they are endless…………lets hope over the coming years that we are writing about the many great things going on to give the game back to the children.